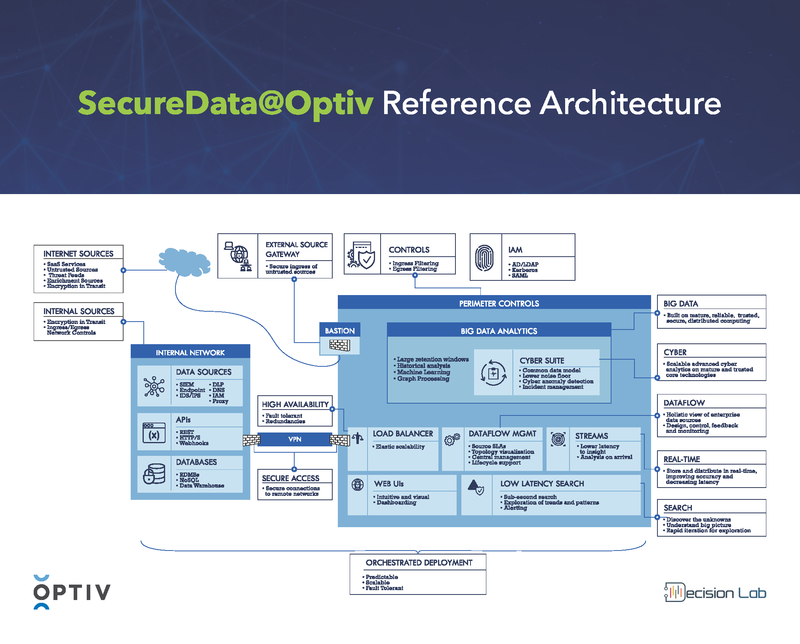 SecureData@Optiv Reference Architecture provides a unique programmatic approach and expertise for rapid deployment of a secure data lake. Based on system design and vendor components that have been proven in client environments, the reference architecture accelerates the process of deploying the solution because it eliminates many of the vendor-evaluation and “trial and error” steps typically associated with data-related security projects. SecureData@Optiv harnesses vast amounts of data from security infrastructure, intelligence feeds and other sources, and then runs purpose-built analytics for any number of security functions.